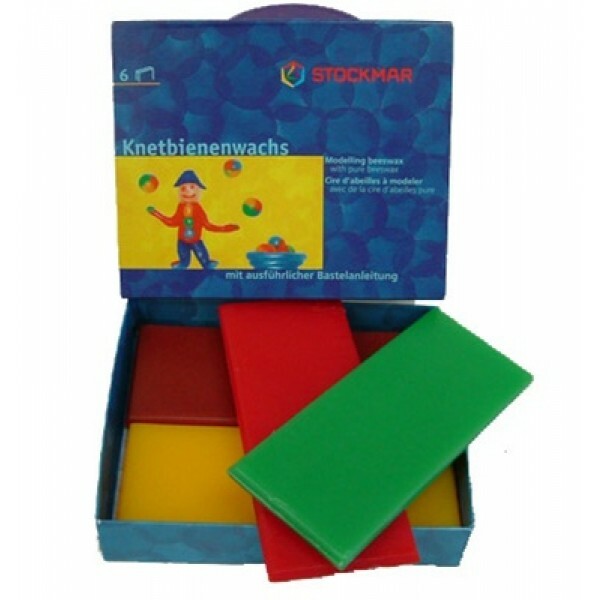 Made from 100% pure all-natural beeswax, kids will love the versatility of this pliable material. Because it's made from beeswax, the materials won't smudge, crumble, bleed or dry out, and the colors will stay lively and vibrant. The wax is pliable, but it also stays in place once formed, giving you pieces that will last just as long as you want them to. Wax colors include; ivory, crimson, golden yellow, green, blue, and rust. Stockmar products are certified nontoxic by the Art and Craft Materials Institute. Designed and made in Germany.